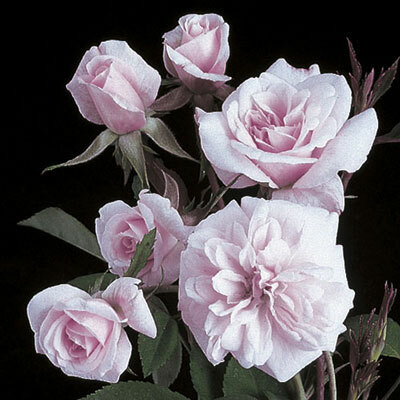 (Sweetheart rose) (Climbing Polyantha) Beloved old-timer. Large airy clusters of small pointed pastel buds and creamy pink blooms. Mostly a spring bloomer on old wood. Old fashioned. Established plants give more rebloom.